Peter Shanahan is a Rainforest and Marine Biologist interested in Insect, plant and animal relationships. He has spent a lifetime collecting insects and educating children and adults about the fascinating lives of these little creatures. 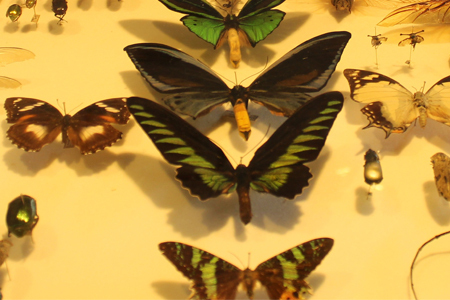 The exhibition is an exciting and educational activity featuring pristine insect collection boards of species which are endemic to the Australasian equatorial tropical rainforest region. The exhibition includes a drawing activity where children can learn an easy way to illustrate small creatures using their own tablet or mobile phone through self-guided instruction. With free entry and participation, this creature-packed activity is suitable for the whole family, if you’re not afraid of some little bugs that is. Meet Peter and entomologist Dr David Rentz and ask them any question you like about the hundreds of insects in Peter's collection.